Volumetric Technologies is a world wide leader in filling line and product packaging line equipment including Gap Transfer Conveyors. 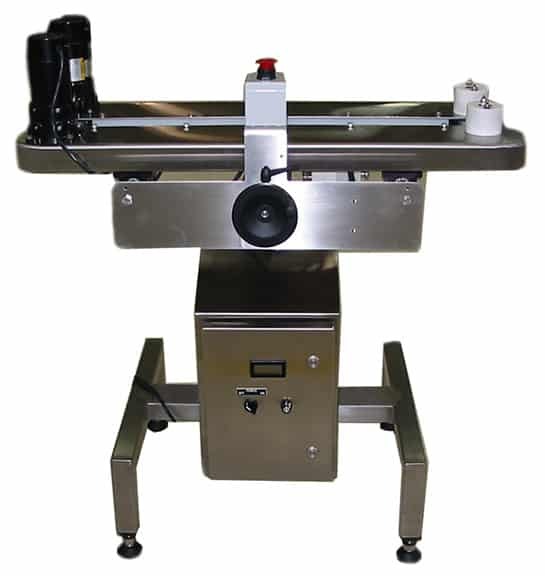 A Gap Transfer Conveyor by Volumetric Technologies transfers your filled or empty containers from one standard conveyor to another by gripping the sides of the container as it is transferred.This unique gap transfer process leaves the bottom of the container open and available for either inkjet or laser code dating without stopping or slowing down the filling or capping process. This innovative Gap Transfer Conveyor design by Volumetric Technologies facilitates downstream inspection of the code dating.